ISTA is committed to advancing professional development and learning opportunities for our members and Indiana’s public school educators. This includes advocating for more state-funded development and mentorship programs, hosting a variety of events to enhance teaching practices and improve student learning and curating a host of resources to promote continuous learning. ISTA and the ISTA Foundation offer scholarships to our members to contribute to the continuing education and training of public school educators and awards to recognize our members dedication to public education. ISTA’s PRC hosts a number of high-quality, statewide and local conferences and events. Members can earn Professional Growth Points (PGP), connect with colleagues from across the state and collaborate with educators looking to advance the profession. Membership in ISTA and NEA connects our members to a variety of professional development and learning resources. Remaining up-to-date with your Indiana licensing is critical. PRC provides resources to remain current with license renewal. 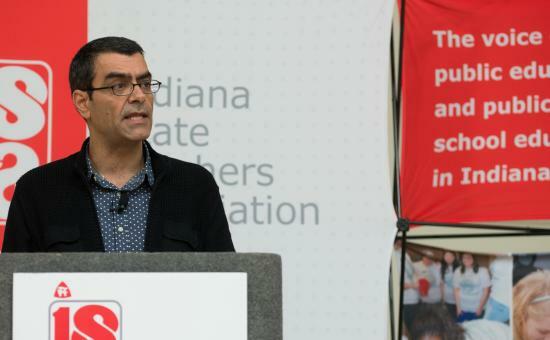 It is also a mission of ISTA to increase the number of National Board Certified Teachers in Indiana. ISTA offers a variety of financial support and online and in-person resources to help you achieve National Board Certification.